"I don't write for fun or for the money. I do it from a sense of duty". This is what Oriana Fallaci wrote on her book The Force of reason, this rigorous purse is dedicated to her, a working bag as a matter of fact. 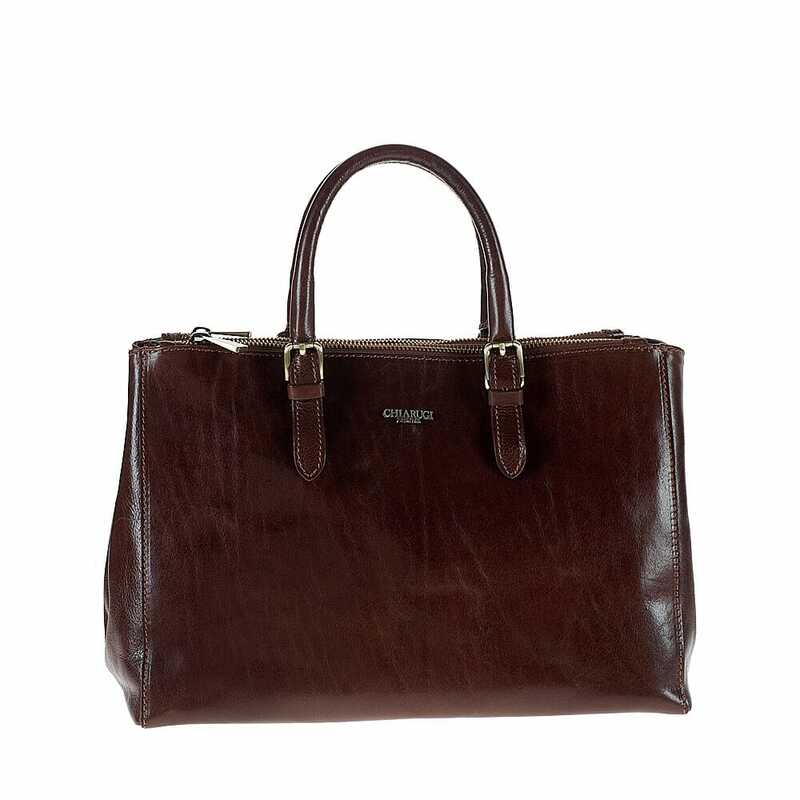 It is vegetable tanned and is tailored following the traditional leather processing system of the Leather District in Tuscany, has a very sober and classic color, simple features and old brushed brass finishings. The interior, lined in a sand color printed fabric with brand's logo on it, is spacious enough to contain a tablet, a notebook and other useful things and is organized in a single compartment with two lateral pockets zipped externally.